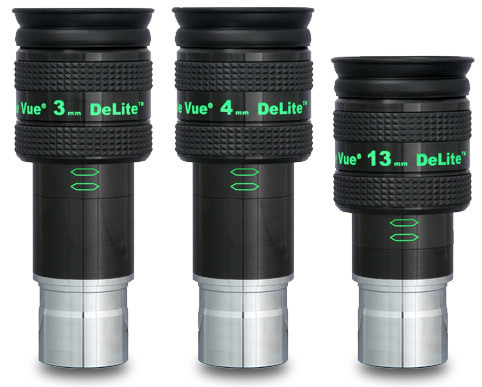 Tele Vue is pleased to announce new DeLite focal lengths are now shipping! 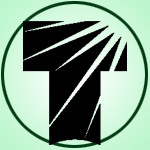 Rounding out the series will be focal lengths of 13mm, 4mm, and 3mm. These new DeLites are of course parfocal with the current 18.2mm, 15mm, 11mm, 9mm, 7mm, and 5mm models. DeLite is the logical step toward a smaller, lower cost, and lightweight version of Delos. The 62° apparent field DeLite retains the pure optical quality of Delos along with 20mm eye-relief, unique sliding, locking eyeguard, and is Dioptrx-ready. All models have 1¼” barrels and are parfocal with Tele Vue’s 1¼” Plössl, Panoptic, Nagler, and Delos eyepieces.